USE THICK LEATHER GLOVES, eye protection, and a DUST MASK when doing this!!! 1. Take a standard 6 or 12 Volt lighbulb and grind the bottom of it flat. 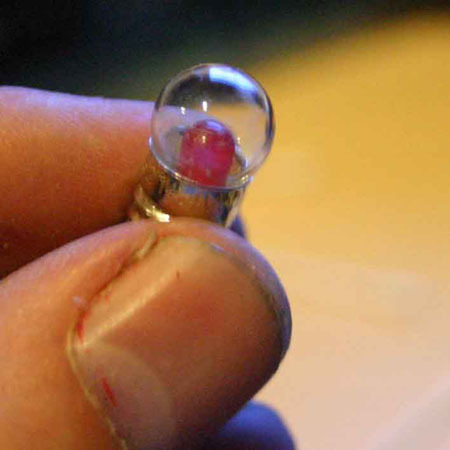 until you see the tip of drill bit inside of the glass bulb. I did it without breaking the glass on my first try. You might not be so lucky. 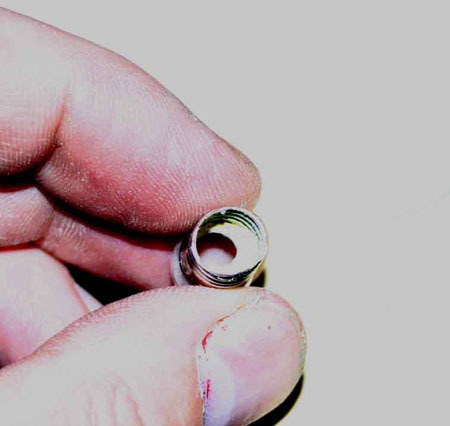 3. increase the drill bit size by one and again slowly drill the hole bigger. 5. clean the inside bulb with a Q-Tip. 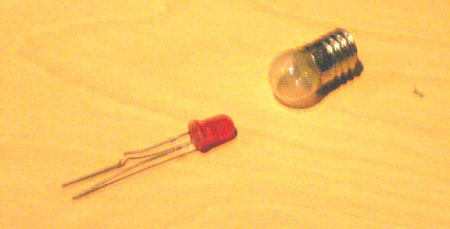 6. fit a small LED into the bulb so that the top of the LED is visible inside the bulb. 7. 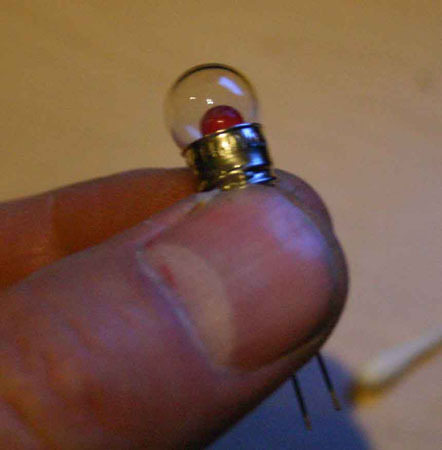 Seal the LED into the bulb with hot glue or epoxy. 8. Paint the bulb with glass paints if desired.